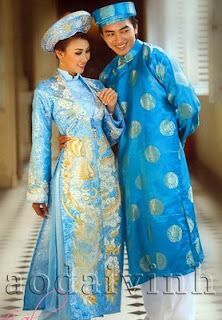 Today I will start an introduction to the traditional costumes of Vietnam and neighboring countries where the ethnic groups extend past the border. 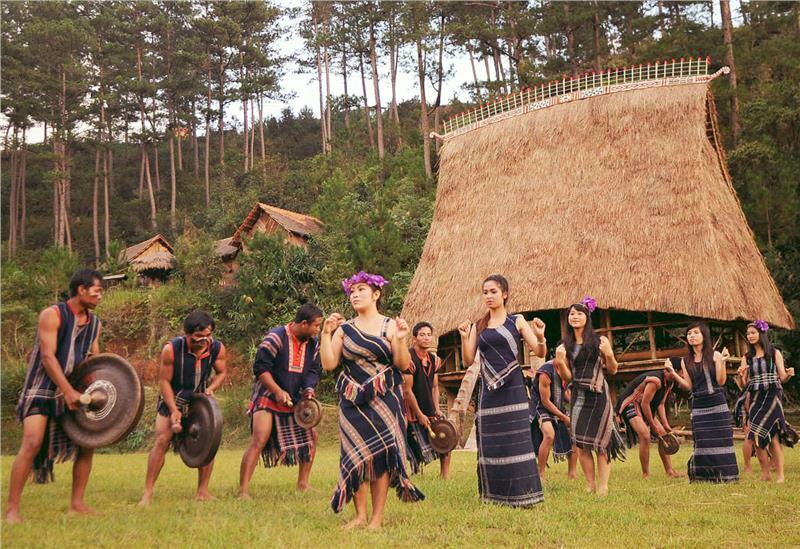 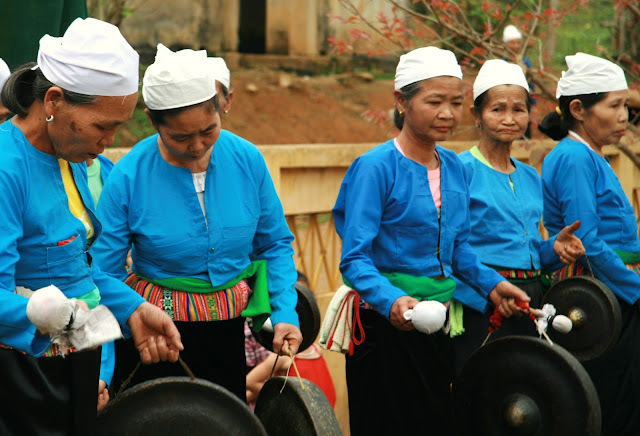 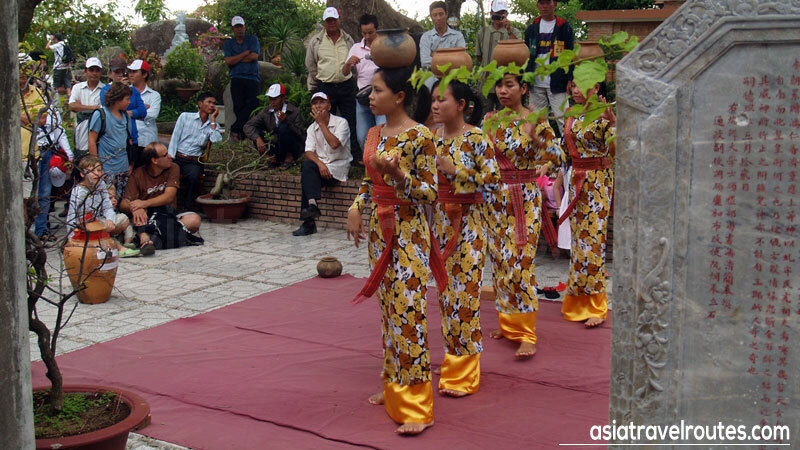 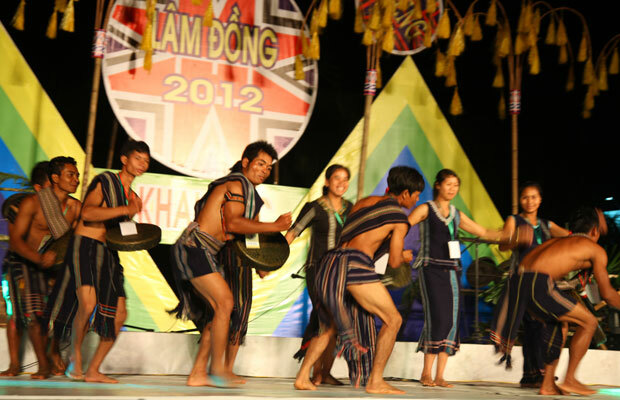 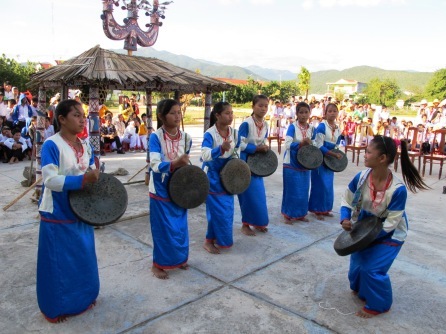 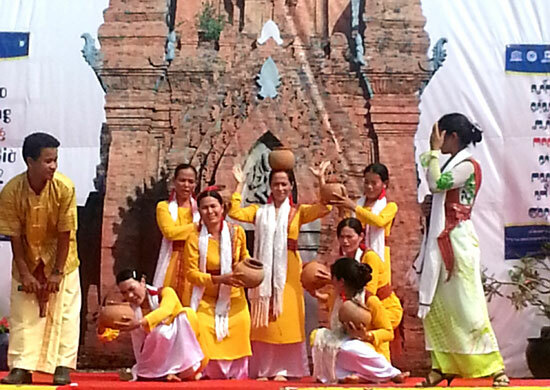 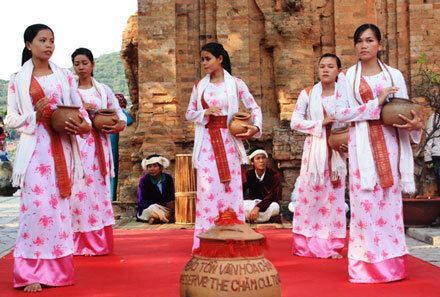 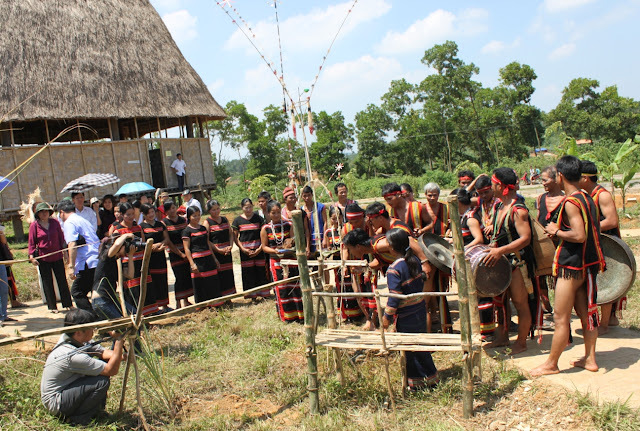 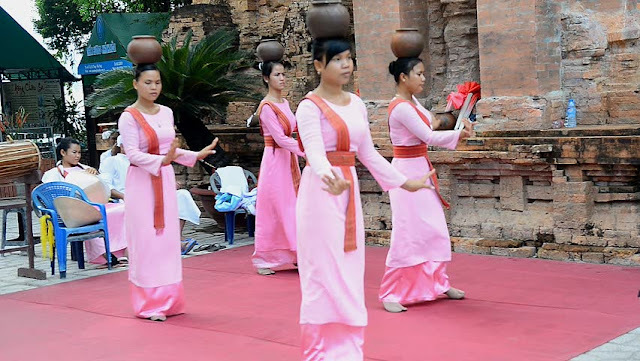 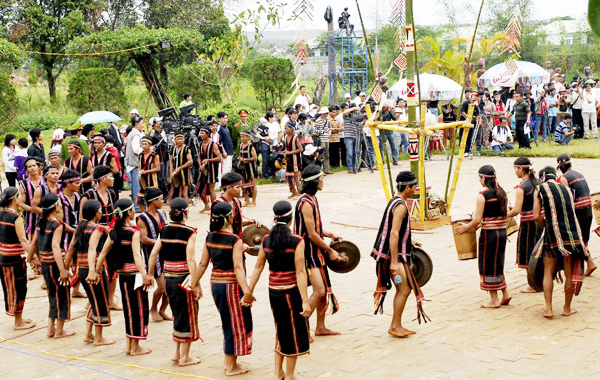 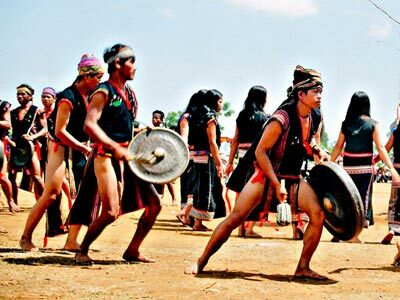 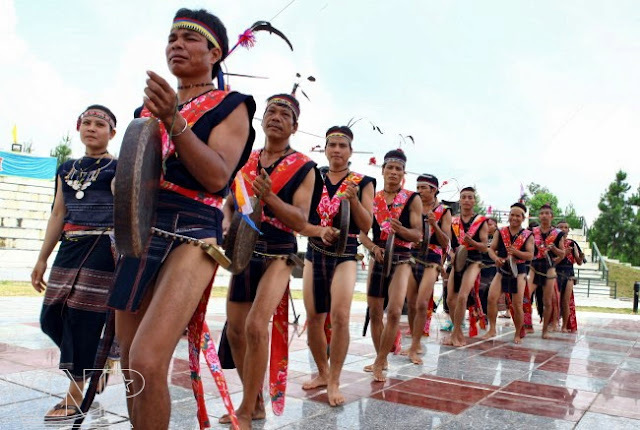 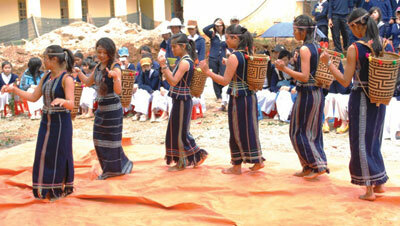 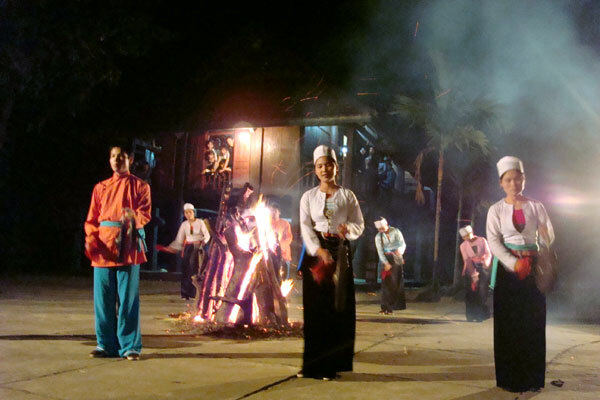 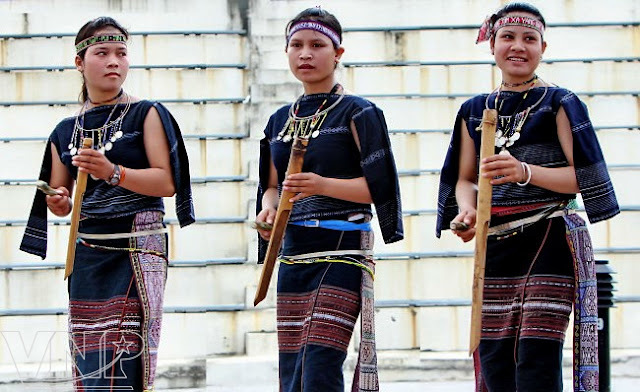 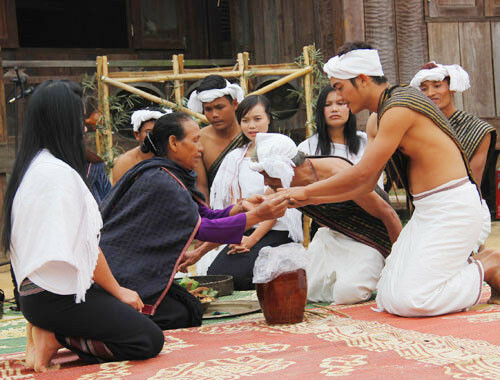 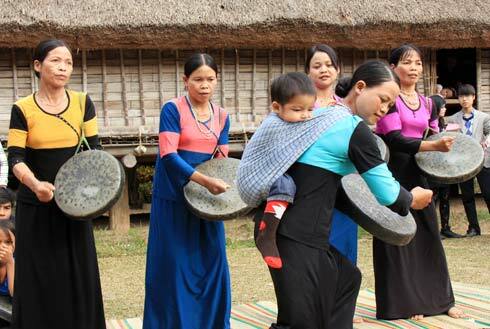 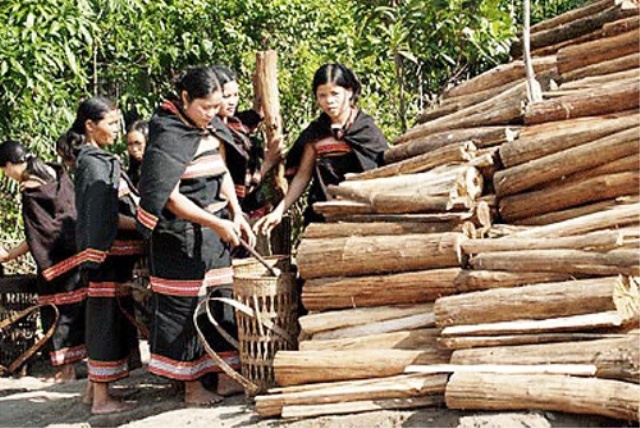 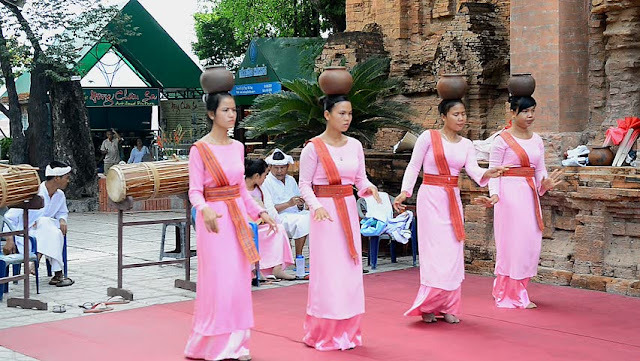 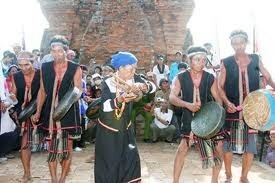 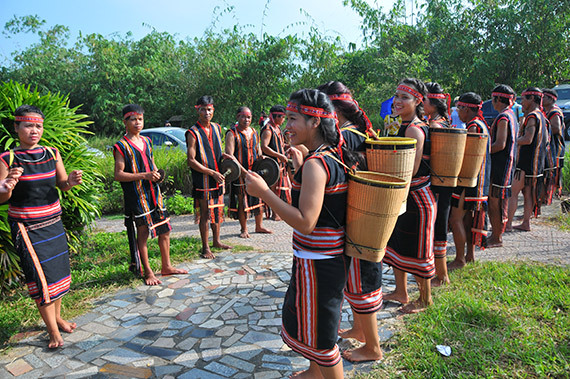 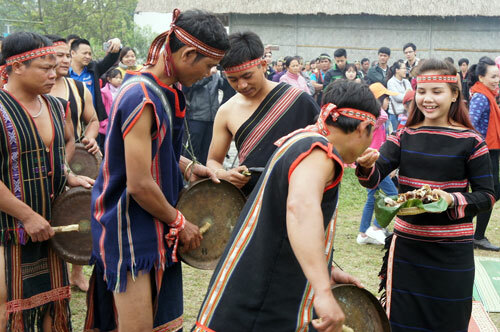 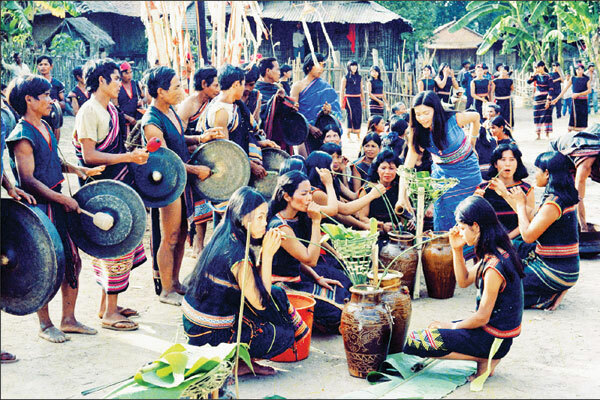 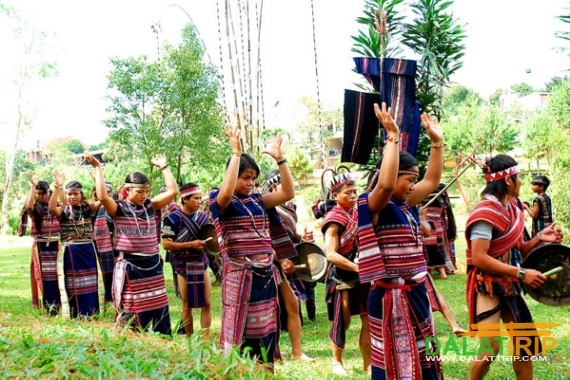 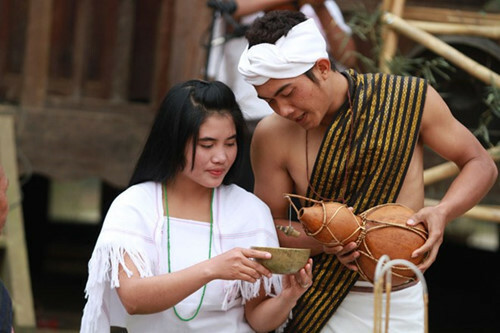 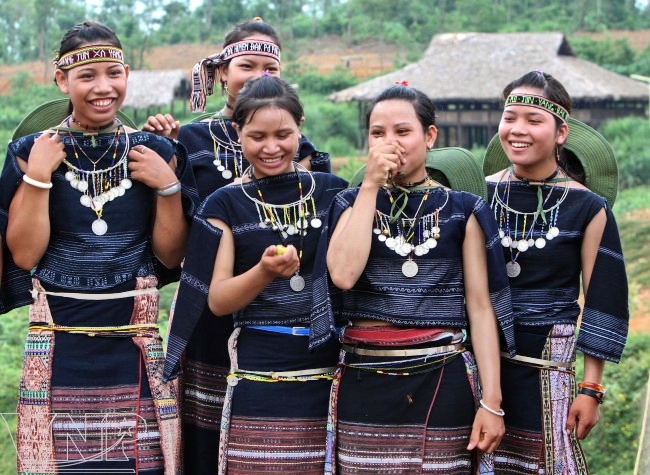 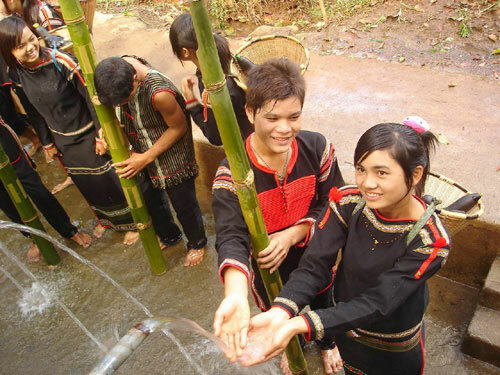 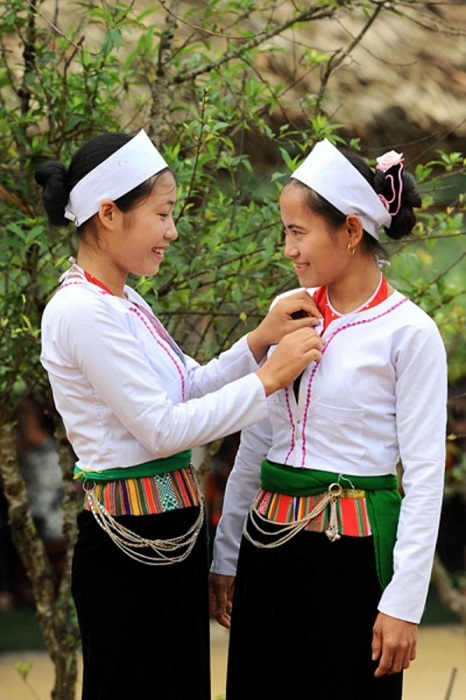 Despite being a nation of modest size, Vietnam recognizes 54 distinct ethnic groups within its borders. 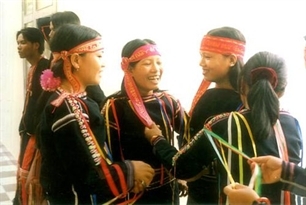 These groups belong to the 5 major language families which populate southeastern Asia.Today I will concentrate on two of those families, the Austronesian and the Austro-Asiatic. 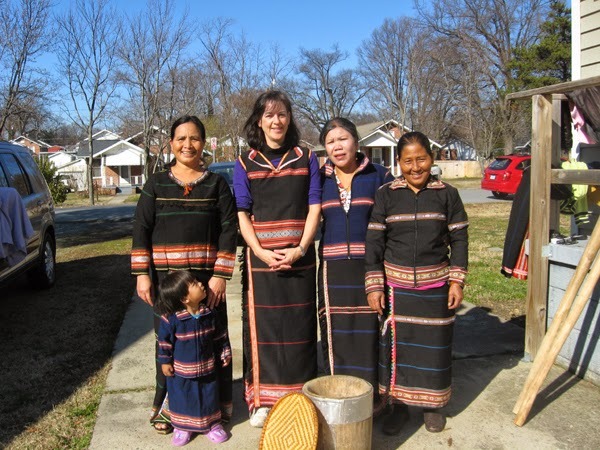 This will not be an exhaustive list, but I will give at least one representative of each group of peoples. 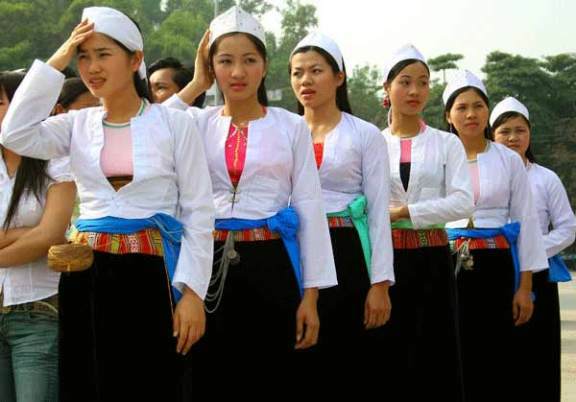 This is the major ethnic group of Vietnam, giving its name to the country, and comprising a mathematical majority of the population. 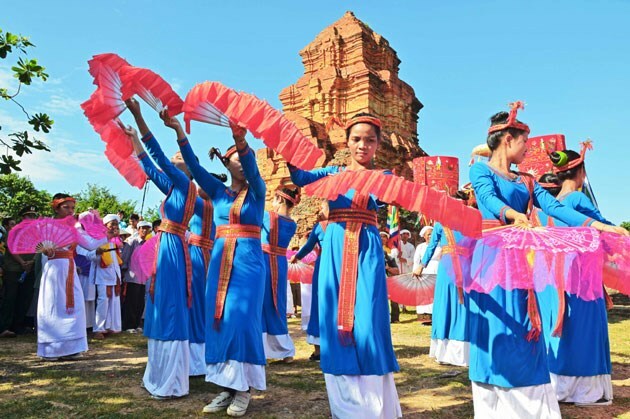 They call themselves Kinh, and the major part of the population lives in the Mekong and Red river deltas, as well as in a narrow band along the coast. 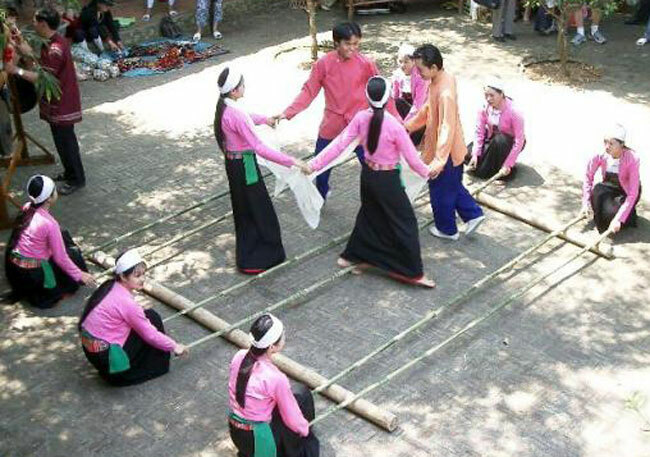 They also inhabit an island in China, where they are known as the Jin. 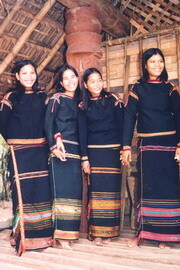 Their language forms one branch of the Austro-Asiatic language family, along with Muong. 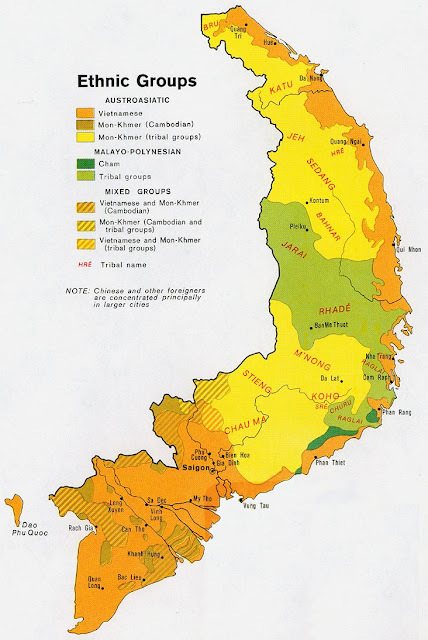 The distribution is indicated in the following map by pink. 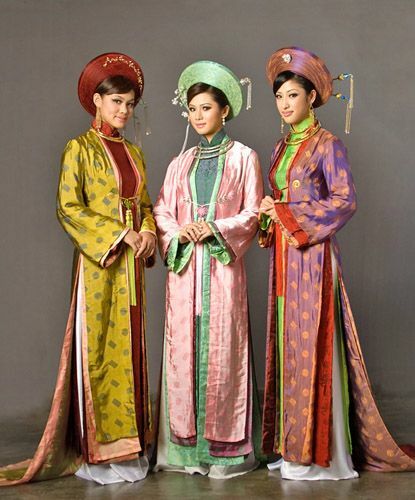 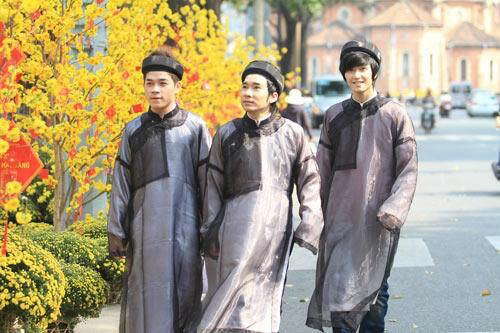 The current national outfit of the Viet is called Ao Dai. 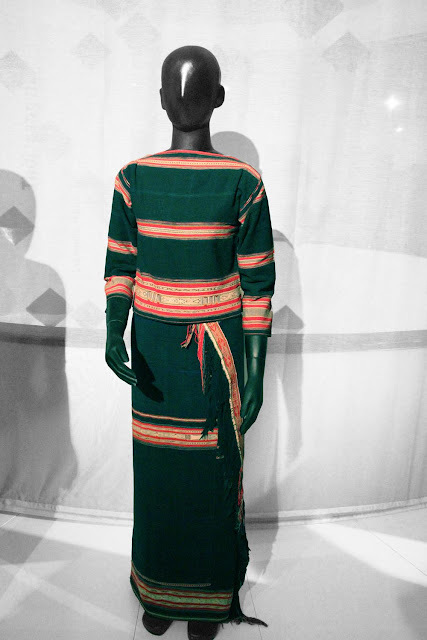 This was fully developed in the 20th century, with influence from the Cheongsam of south China. 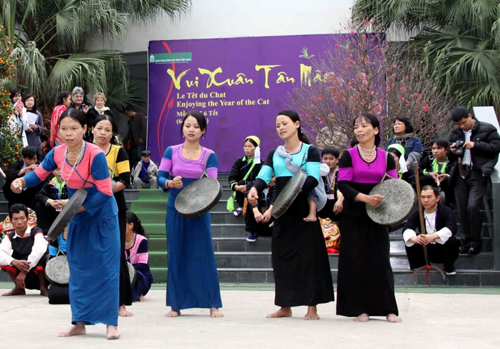 In general, the Viet culture is strongly influenced by that of the Han Chinese. 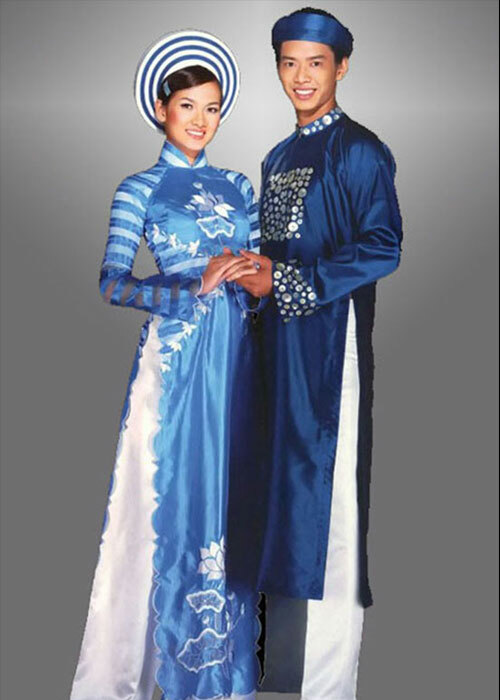 The image above shows a couple in Ao Dai fit for a wedding. Here is another couple in a less formal version. 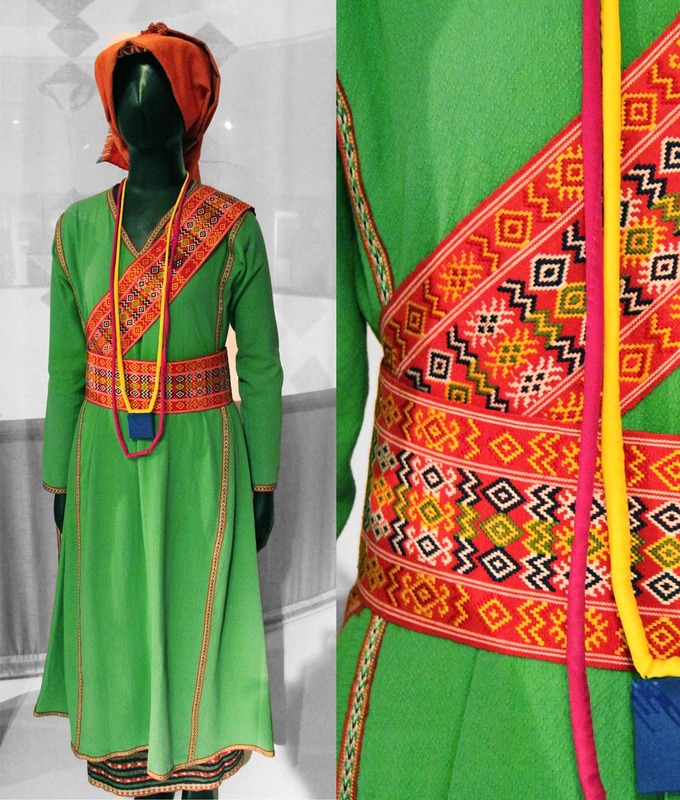 There is a great variety in color and detail, and designers keep making more. 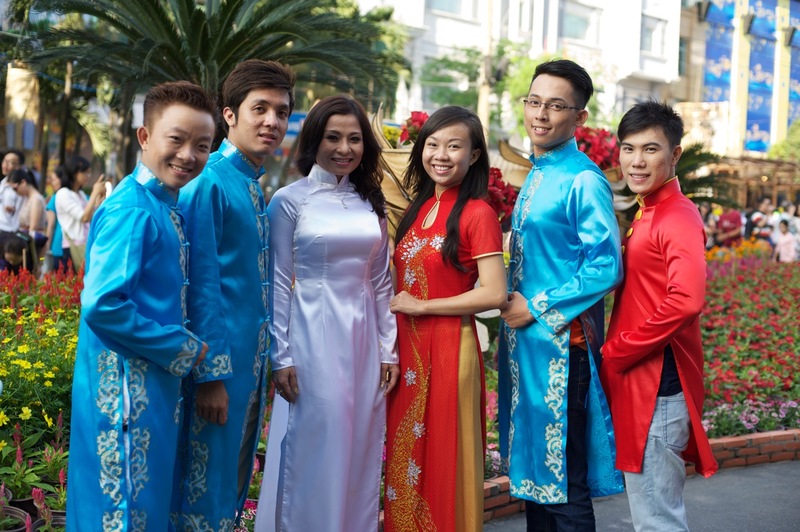 This dress is still commonly worn for holidays, Tet, and weddings. 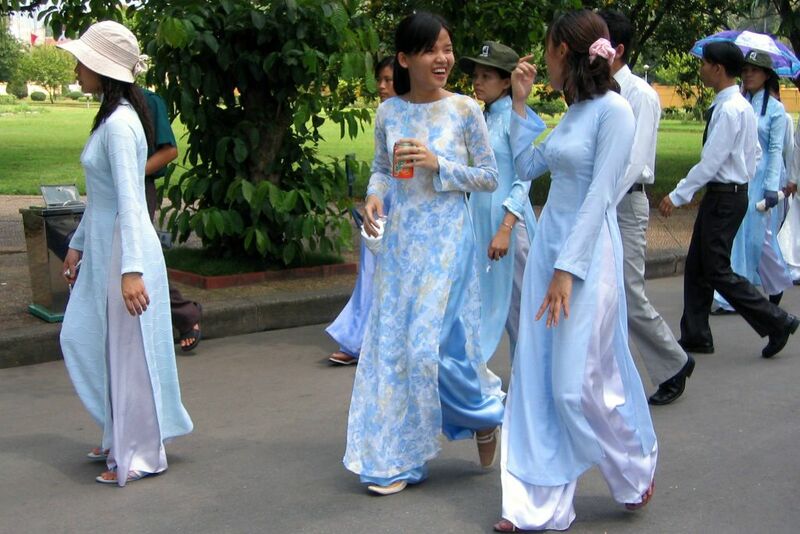 Here are some college students dancing and showing off some variations of the Ao Dai. 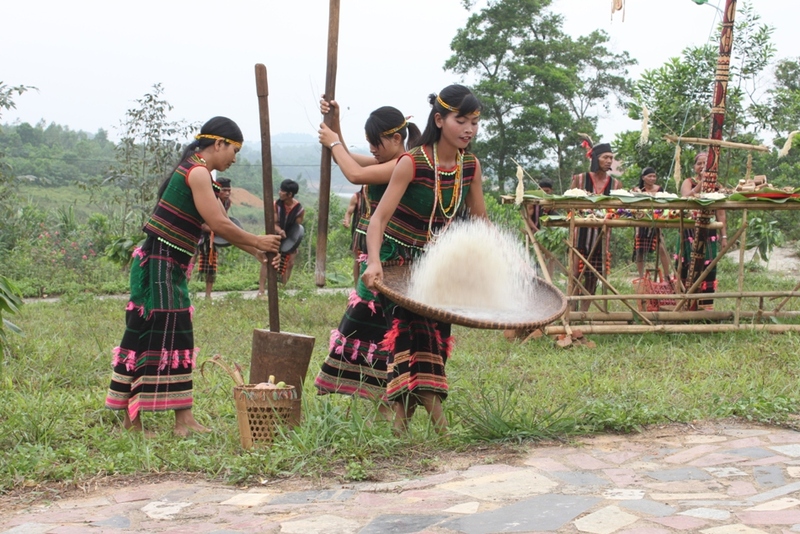 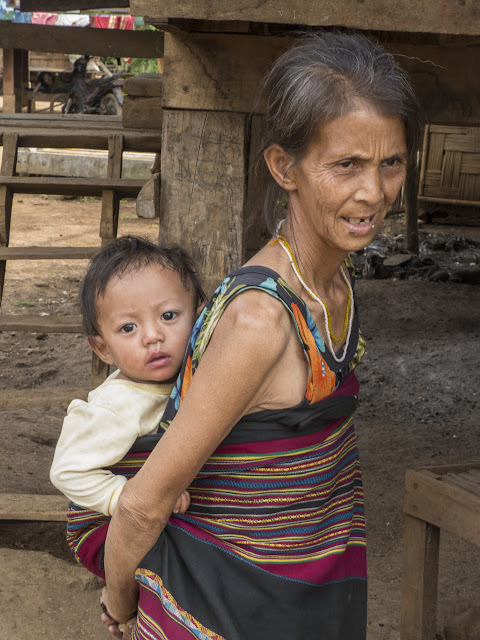 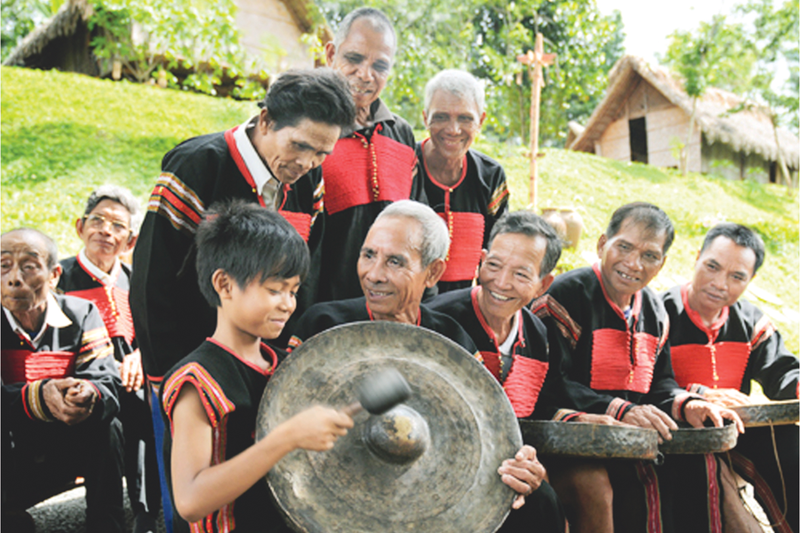 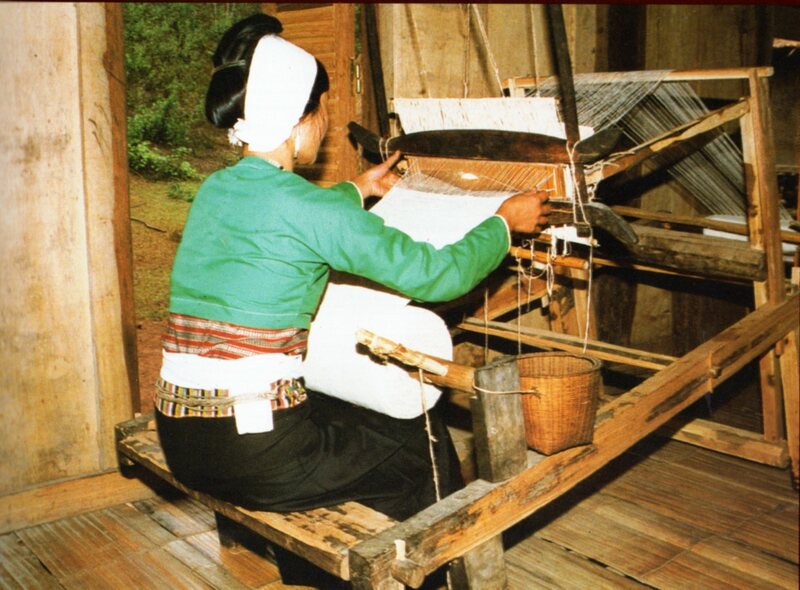 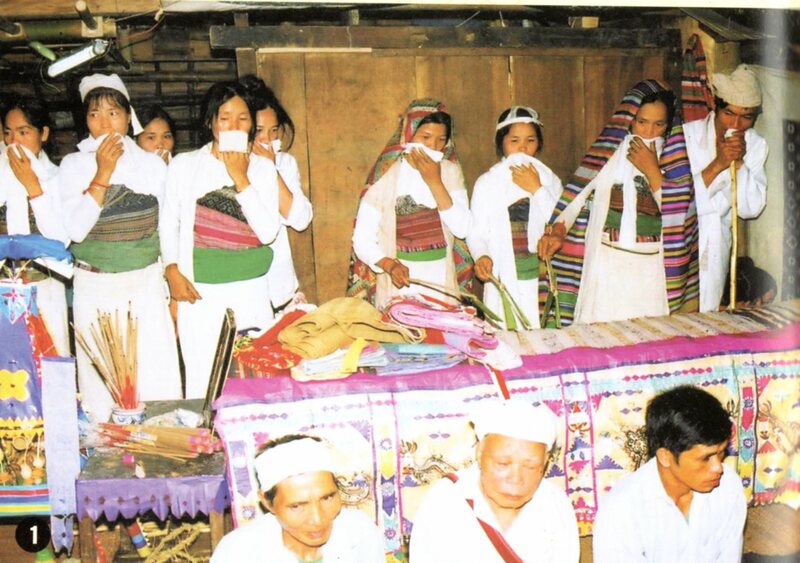 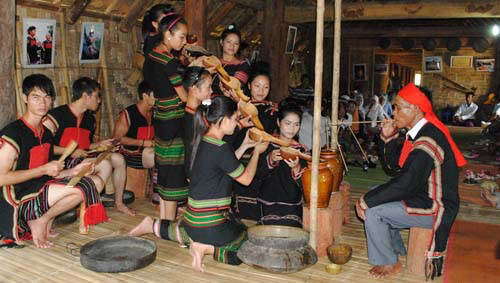 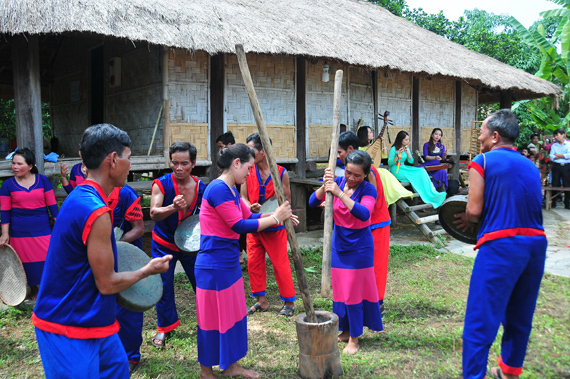 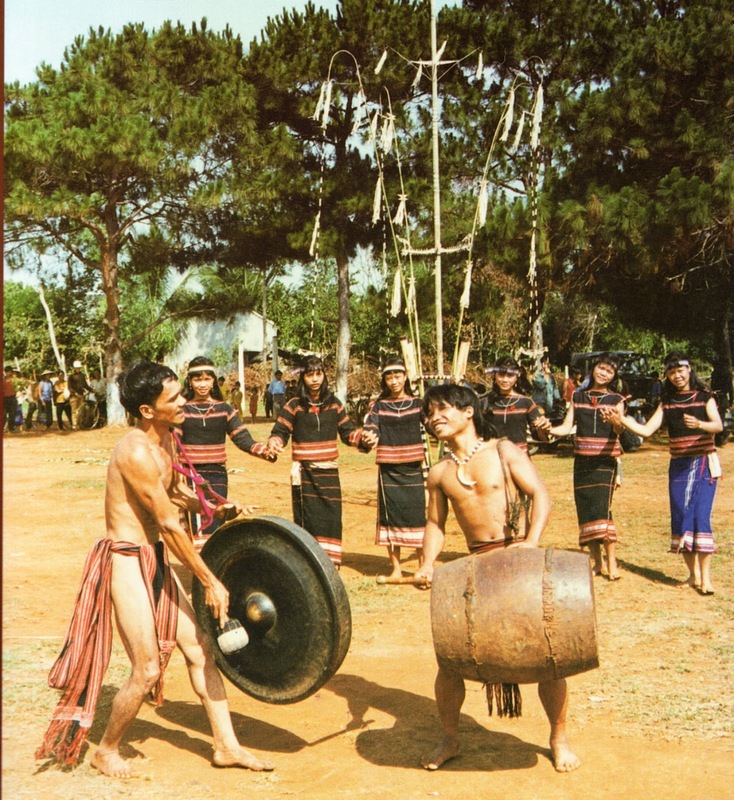 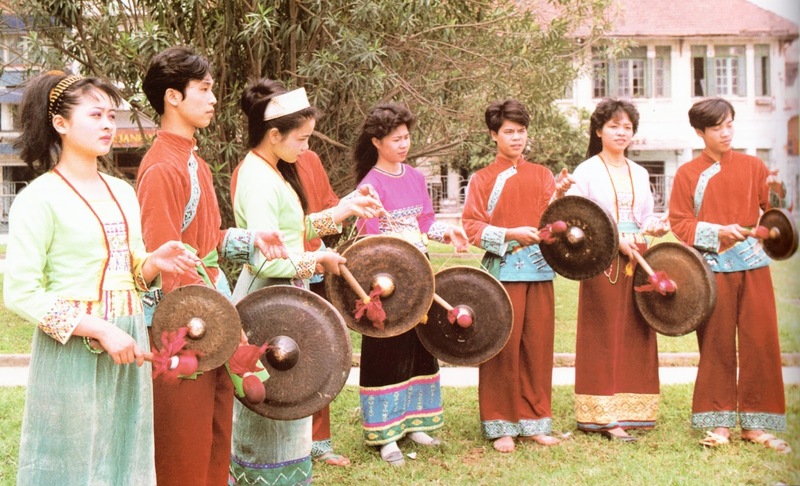 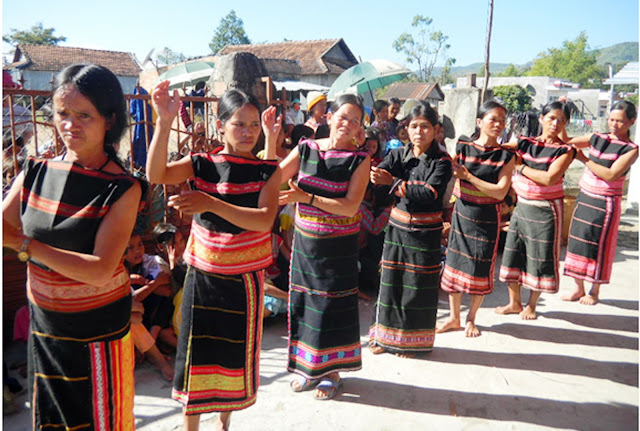 The Muong are closely related to the Viet linguistically. 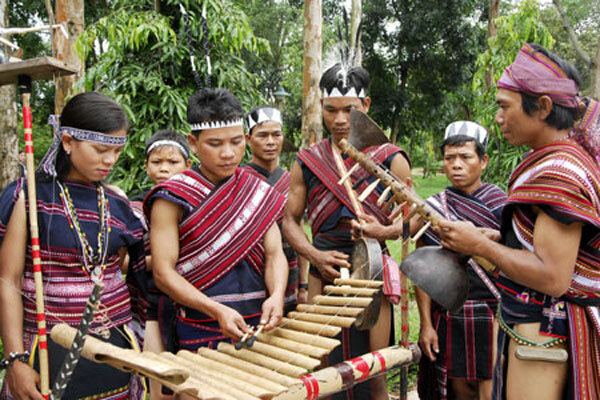 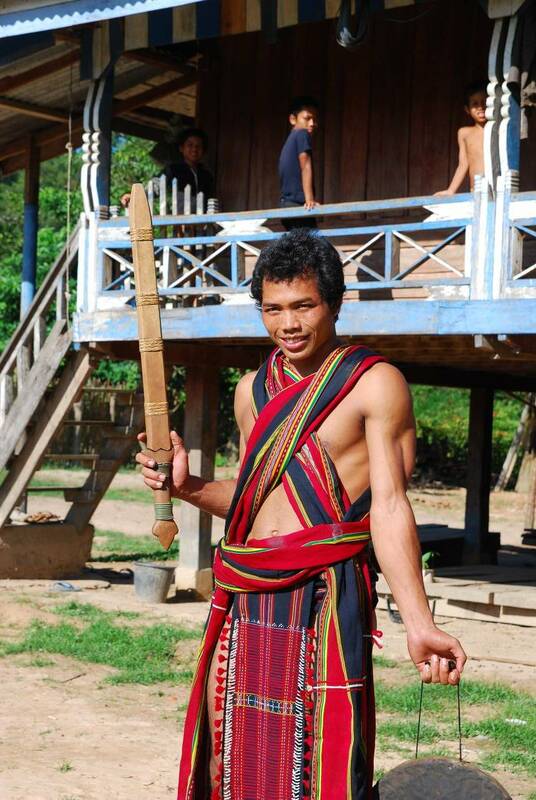 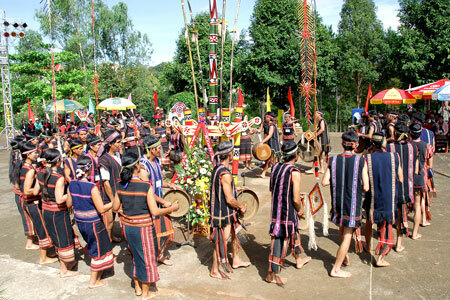 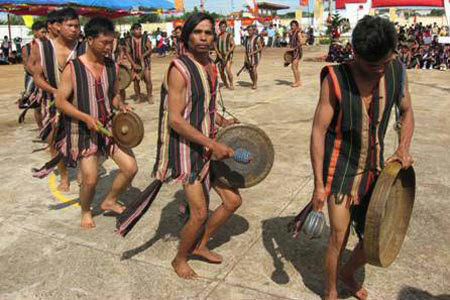 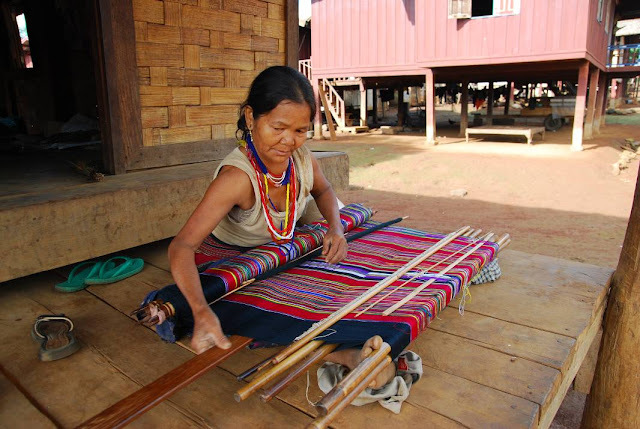 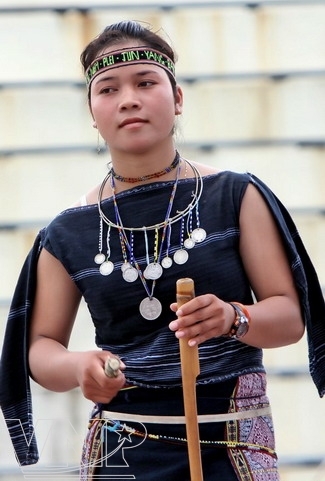 Their territory is inland of the northern range of the Viet people, but does not extend to the highlands. 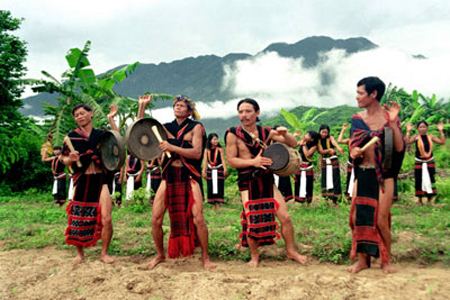 They call themselves the people in the middle, between the Kinh and the Highlanders. 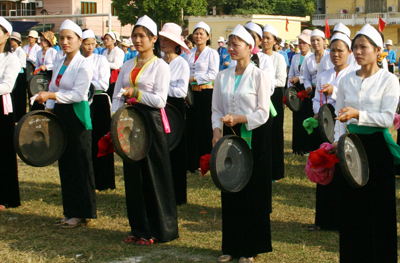 They number roughly 1.3 million. 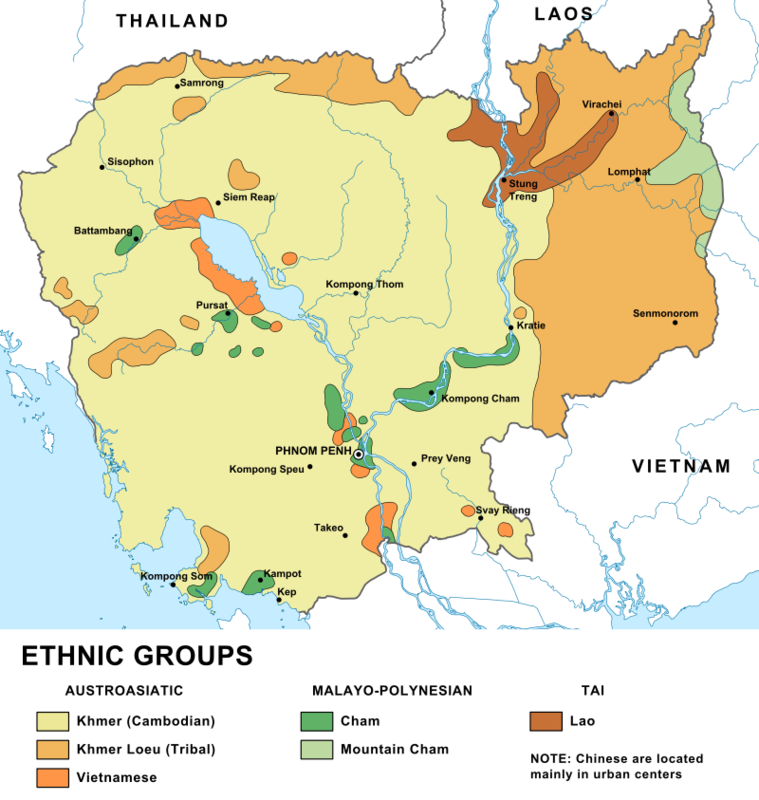 The Cham, unlike most of the peoples of this region, are Austronesian, and not AustroAsiatic. 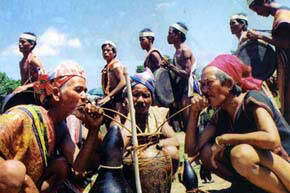 It is speculated that they originally came from Borneo. 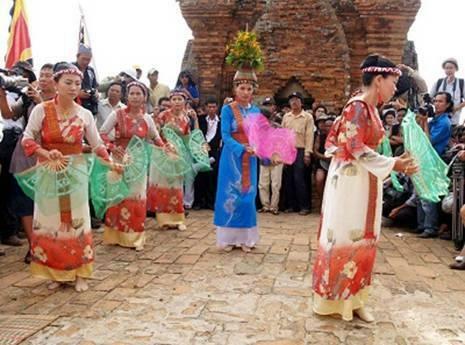 They founded and ruled the Kingdom of Champa in what is now south central Vietnam from 192 to 1832. 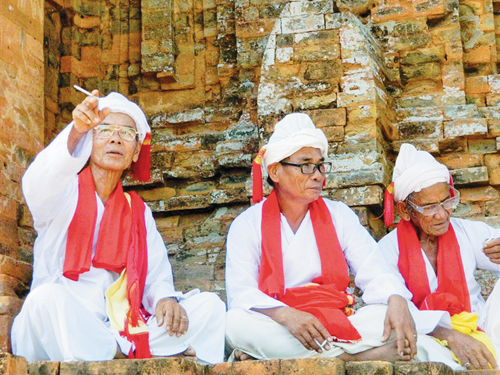 The spread of the Viets at that time resulted in the disappearance of Champa. 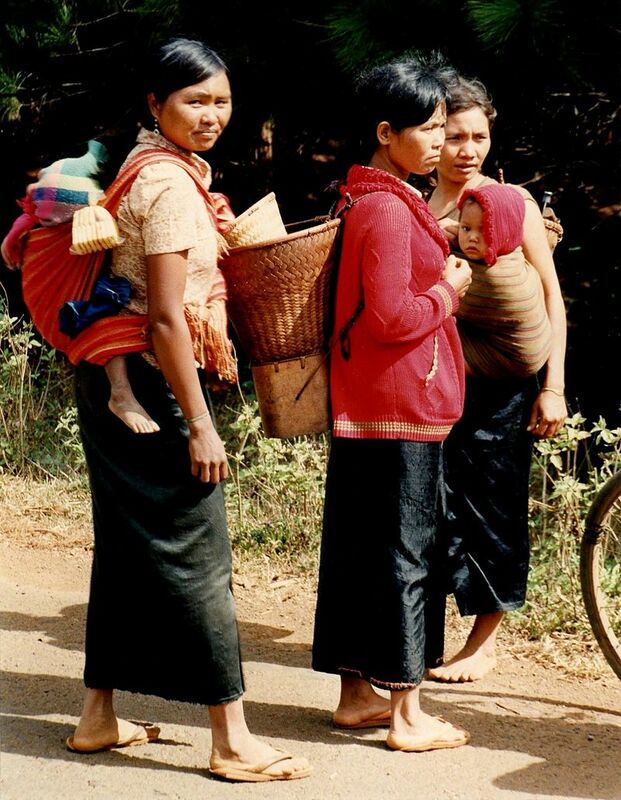 Some of the people are still there, others fled to Cambodia, where many still live, some moved back into the highlands, and some went to northern Sumatra, where they became the Aceh. 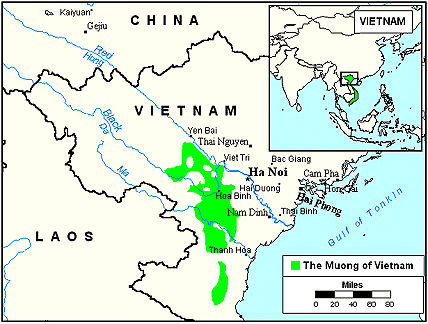 Here is a map of Champa, in green, at about the year 1000. 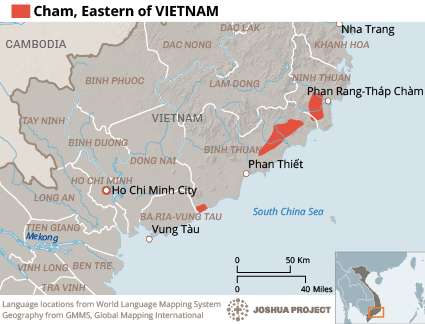 Here are maps showing the location of Cham people in both Vietnam and Cambodia. 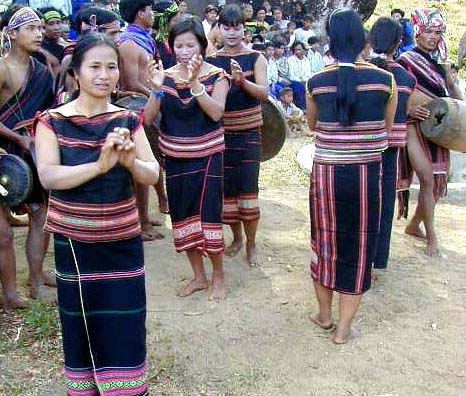 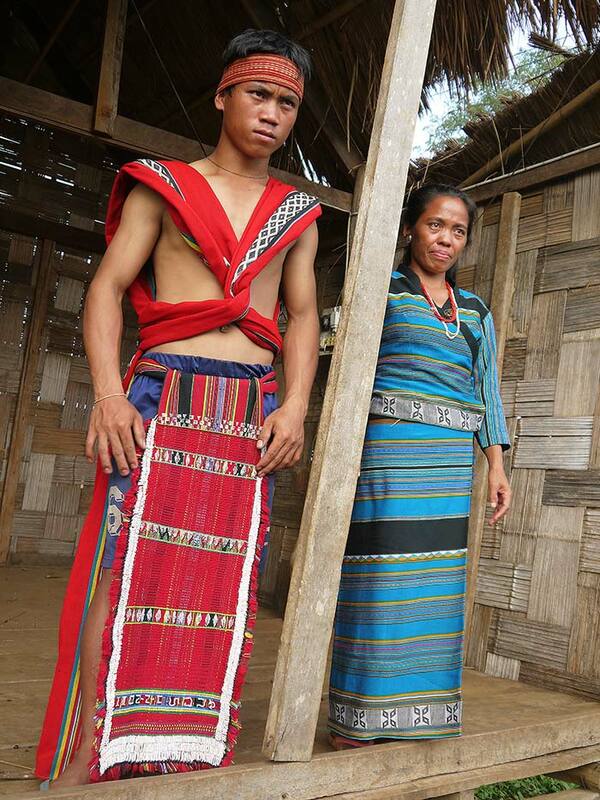 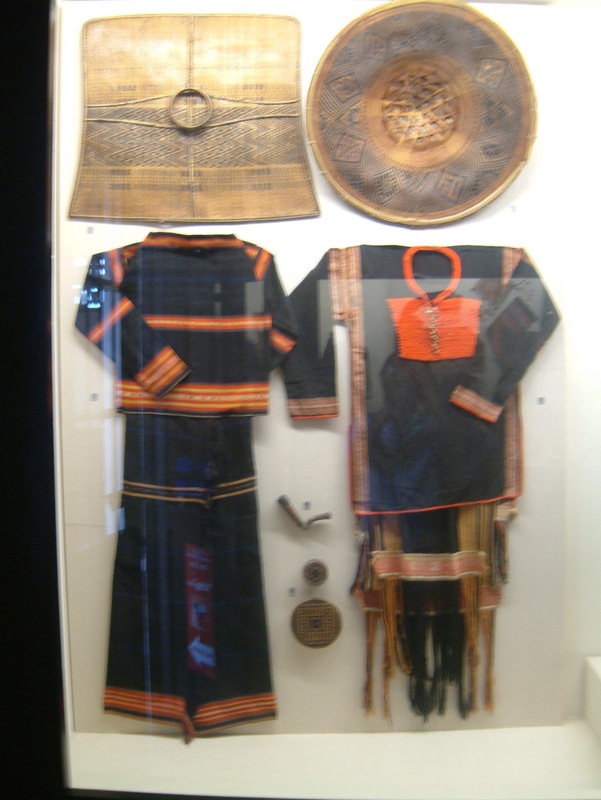 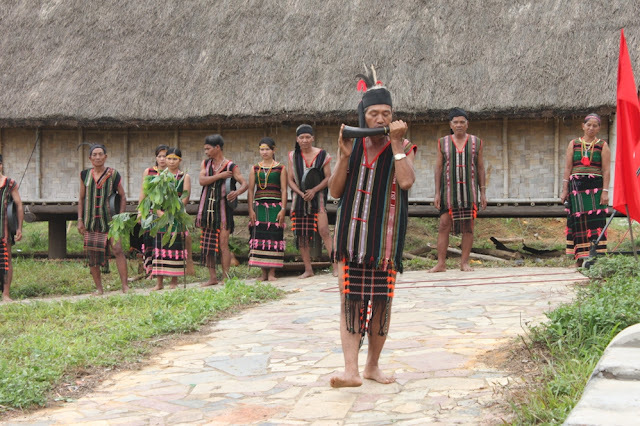 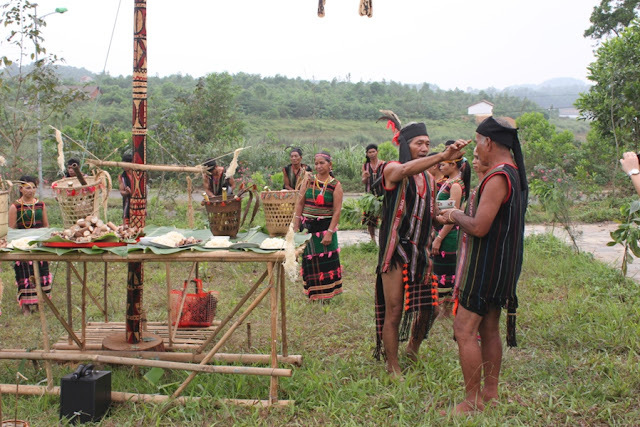 Here are some examples of the costume of the Cham people. Inland from the Cham are the southern Highlands. 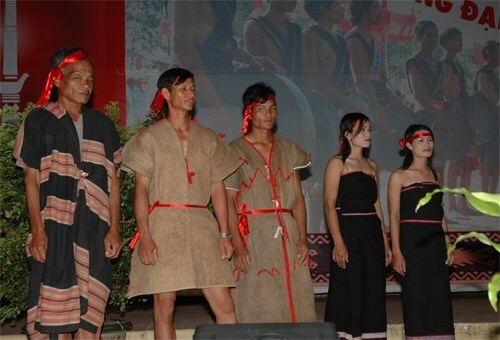 These are inhabited by a number of tribal peoples, some speaking languages related to Cham, others speaking languages of the Bahnaric branch of the Austro Asiatic language family. 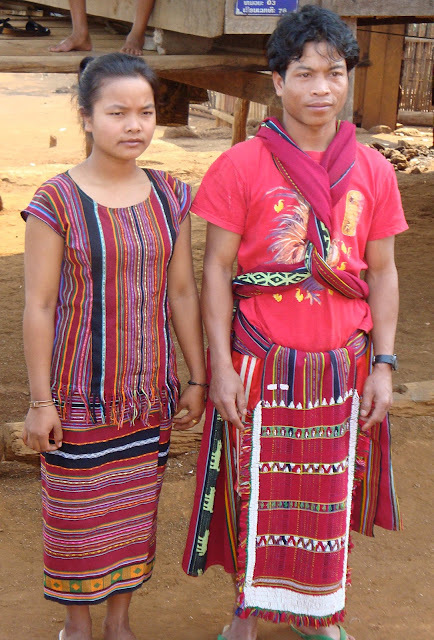 These are often referred to collectively as the Highlanders, or Montagnards [French for Highlander]. Here is a map showing the rough extant of these peoples in Vietnam. 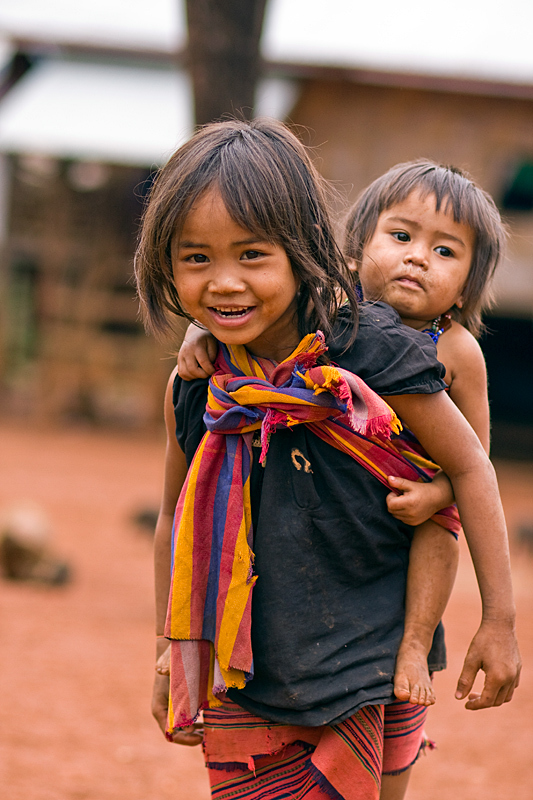 They are also found across the border in adjacent parts of Cambodia and Laos. 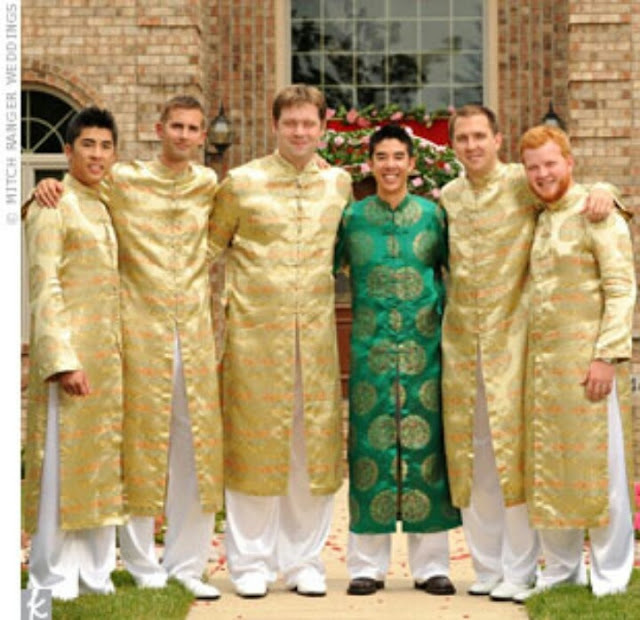 Many of these have similar costumes. These tribes speak languages of t he Bahnaric branch of the Austro Asiatic language family, and are found to the south, west, and north of the Chamic speaking tribes, being found also in Cambodia and Laos. 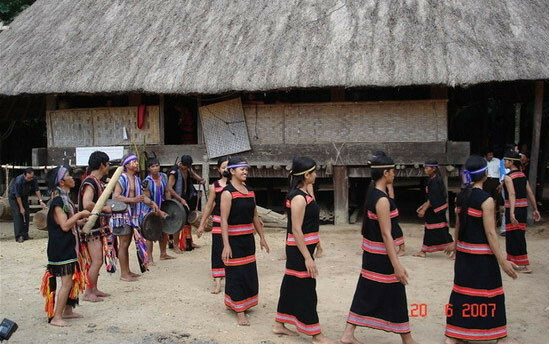 This is the major tribe which is found to the south. 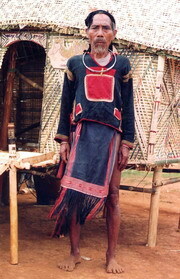 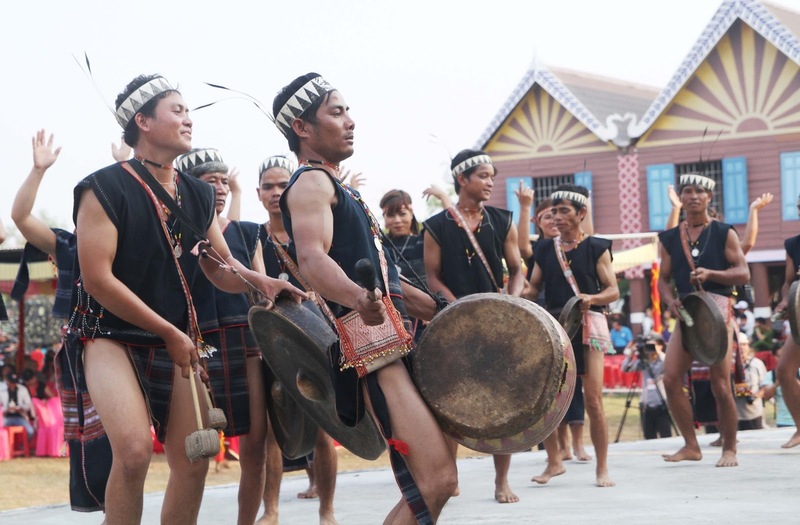 This tribe lives to the north of the Chamic Highlanders. 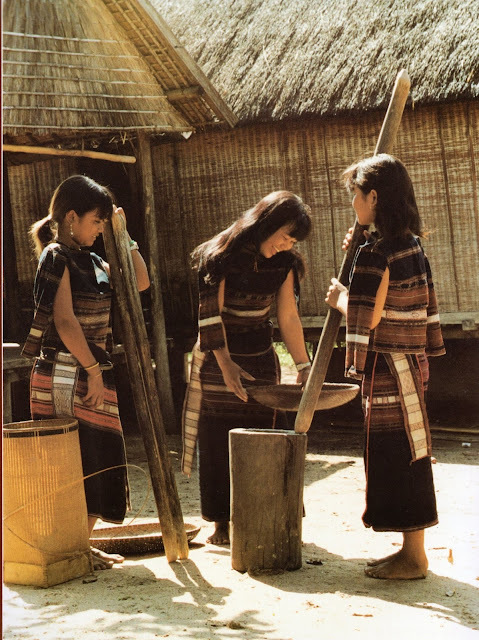 In Vietnamese, this tribe is called Ba Na. 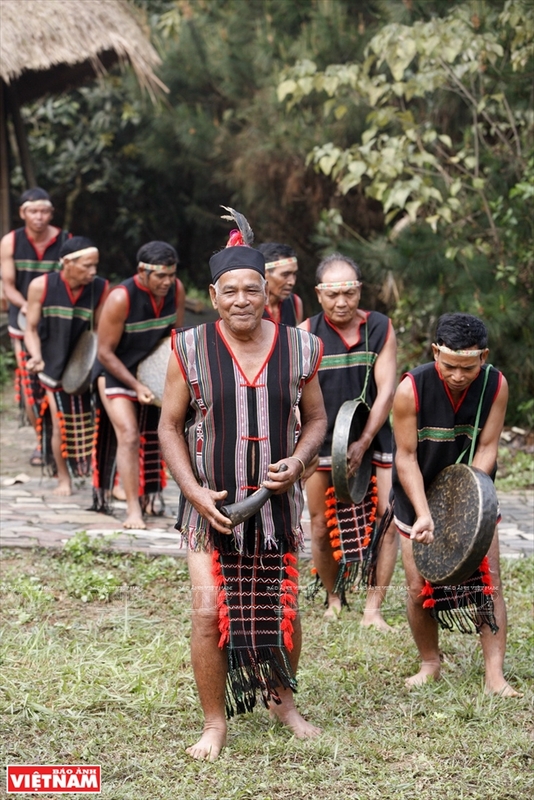 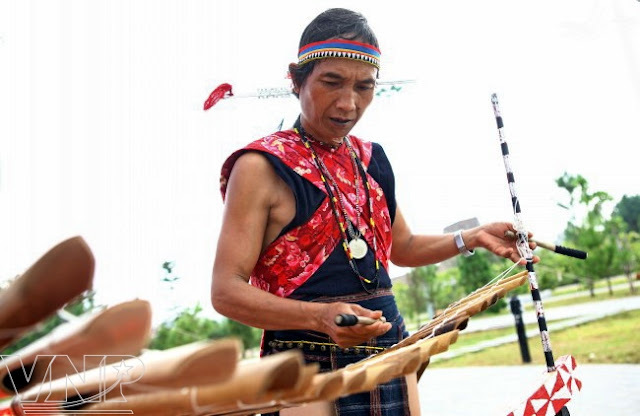 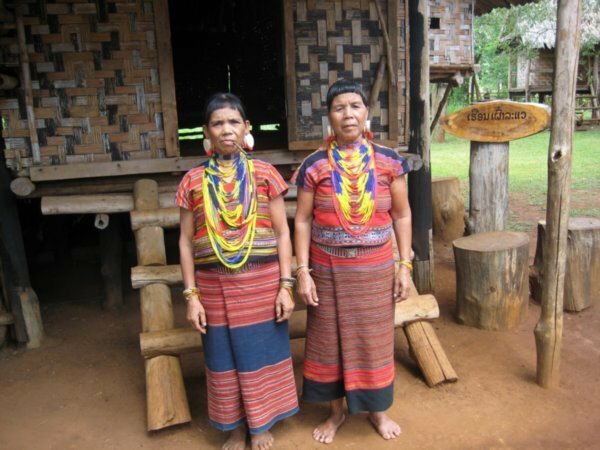 The Katu are not one of the Bahnaric tribes, but speak a language from yet another branch of the AustroAsiatic language family. 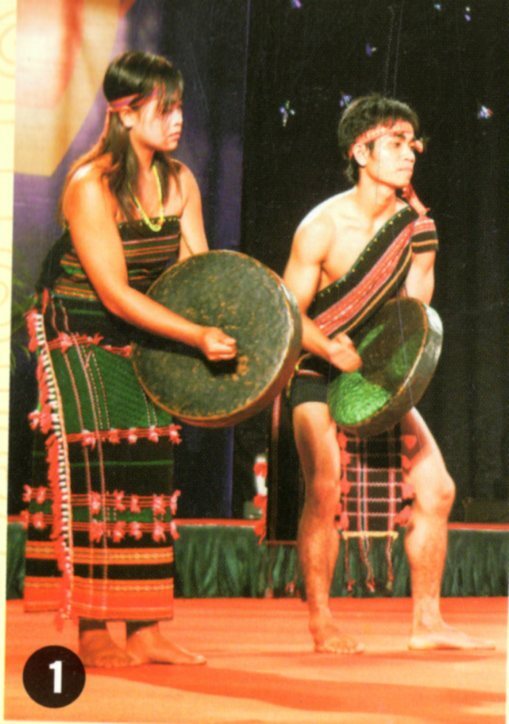 You can see that their costume is significantly different from the tribes above. This concludes this article. 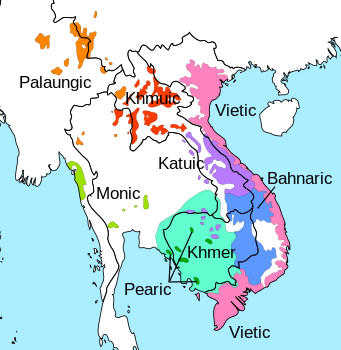 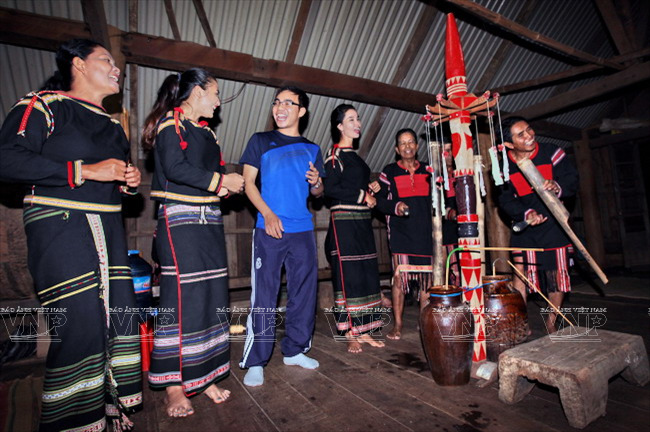 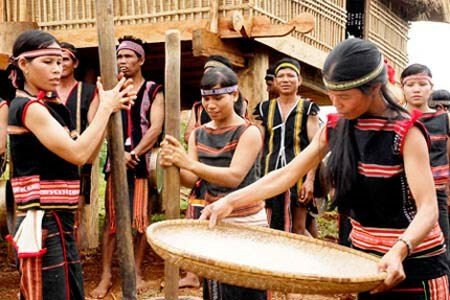 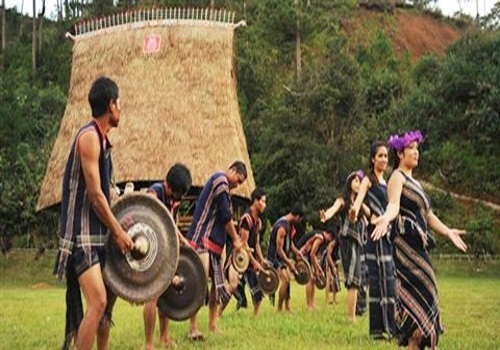 The rest of the peoples of the northern part of Vietnam are of the Kam-Tai [Tai-Kadai], Miao-Yao [Hmong-Mien], and Tibeto Burman language families, and have more in common with populations in Laos, Thailand, Myanmar, and neighboring parts of China. Nguyen Van Huy et al, 'The Great Family of Ethnic Groups in Vietnam. 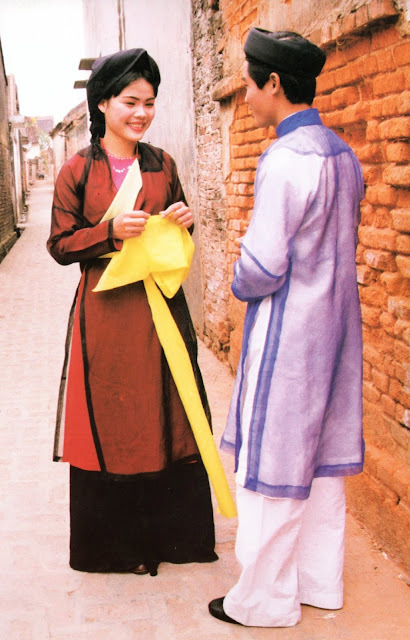 I do so enjoy your posts. 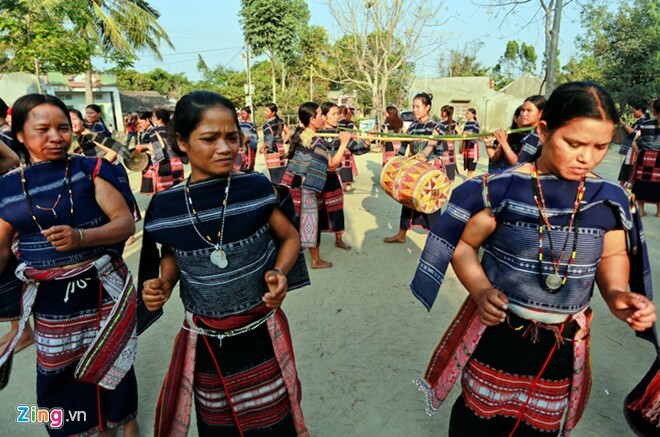 Thank you for bringing the diverse beauty of folk cultures to us!